I love a wide leg trouser. For quite a few months now I've been looking for the perfect pattern to bring to life the perfect trousers I dreamed up. I've bought a few and tried the Landers and Butterick 6183, not once but twice. Although I like those, they're not exactly what I had in mind. I wanted similar pleats to those on the Sew Over It Carrie Trousers but floatier and wider on the legs. 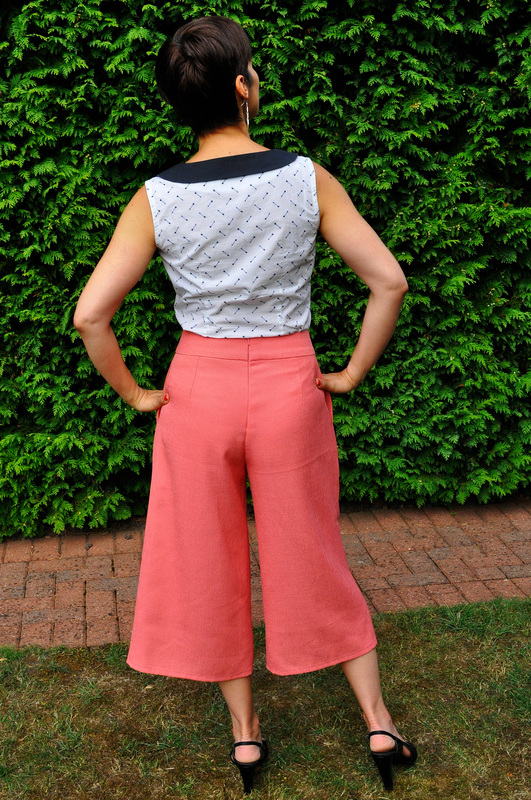 Enter Simplicity 8092, the loose trousers of my dreams! It's exactly what I was looking for. 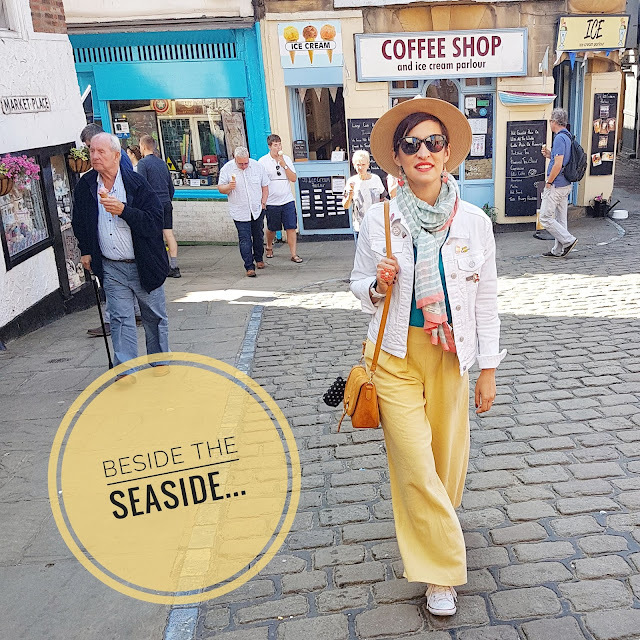 Loose legs, pleats and a wide waistband. It closes with a zip in the centre back seam and there are pockets. There is a full length option, cropped version and shorts. And if you're still not convinced, there are also the same 3 options for skirts included! After measuring the pattern waist pieces, I cut a size 14 waist and graded down to a 12 from the hips down. The fit is perfect! I was so happy with it that I immediately made another one. This time, with the full length legs. I will also be cutting a wool navy twill pair for winter very soon. The pink pair were made in a linen look polyester from Sew Essential. The fabric was great to work with and it's fab to wear since it doesn't crease easily. Polyester gets a bad rap and I'm the first to admit I am a fibre snob when it comes to it. But I was pleasantly surprised while I was sewing this up. It's a very good quality fabric and it behaved ever so well. Plus, the colour is AMAZING! The yellow ones are made out of a cotton and linen blend from Fabric Godmother but is no longer available, unfortunately. It was a dream to sew, actually. Linen normally drives me crazy with how much it frays. But not this one. And it also doesn't crease as much as pure linen. Thank you, cotton! I also added belt loops in this version. I used the template from the Landers and placed one above each outside pleat, on each side seam and above each back dart.